‘Measuring Rewilding Progress’ - A new publication in the leading biology journal Philosophical Transactions B takes a closer look at the science of ‘rewilding’. With ambitious goals of bringing back lost species and restoring natural landscapes on a large scale, rewilding offers a narrative of hope to nature lovers – a ‘Recoverable Earth’. Restoration projects across Europe are increasingly implementing its principles. With nature in crisis, it is no wonder that rewilding resonates amongst a new generation of conservationists. Rewilding aims to restore natural processes to landscapes that have been degraded by humans. With its ‘nature knows best’ philosophy, rewilding distinguishes itself from other ecological restoration approaches, advocating for as little human interference in natural ecological processes as possible. However, that is not to say that rewilders are averse to offering nature a helping hand. One of the movement’s leading groups, Rewilding Europe, readily accepts that human damage to habitats can leave us no choice but to step in and undo our mistakes – by letting large areas of forest regenerate, by removing dams to allow rivers to run freely, by reintroducing species and stopping active management of wildlife populations. But then, once we’ve created the right conditions to put nature back on track, rewilders recommend that we step aside and let nature manage itself. It’s a case of helping nature find its own way. As the practice of rewilding takes off, it is important that the science underpinning it keeps up. This need receives a welcome boost today with the publication of a special rewilding issue of Philosophical Transactions B, an eminent scientific journal published by the UK’s Royal Society. Rewilding does not refer to the protection of wilderness areas, but to the restoration of complex and self-regulating ecosystems. Thus, rewilding initiatives can happen along a gradient of ecological degradation, from highly urbanized environments to remote mountainous areas, but until now a suitable framework was missing to quantify to what extent rewilding is happening. Following interviews with field practitioners and an extensive review of restoration case studies, researchers designed a set of indicators on the effectiveness of 16 commonly used rewilding actions, such as reducing farming, forestry and artificial feeding of wildlife, restricting hunting and fishing, removing dams, or leaving deadwood in forests. A scoring system was then developed to rate the ecological impact of these activities and the proven degree of rewilding. This monitoring framework has proven to be applicable to hugely contrasting rewilding projects with vastly different ecologies, geographies and timescales: from the inland wetlands of Iberá in Argentina – where emblematic species such as giant anteater, pampas deer and tapir (gone since the 1970s) have been reintroduced in the 21st century – to the Swiss National Park in the Western Rhaetian Alps, where populations of chamois and golden eagles have rebounded since the park’s designation as a wilderness area in 1914. 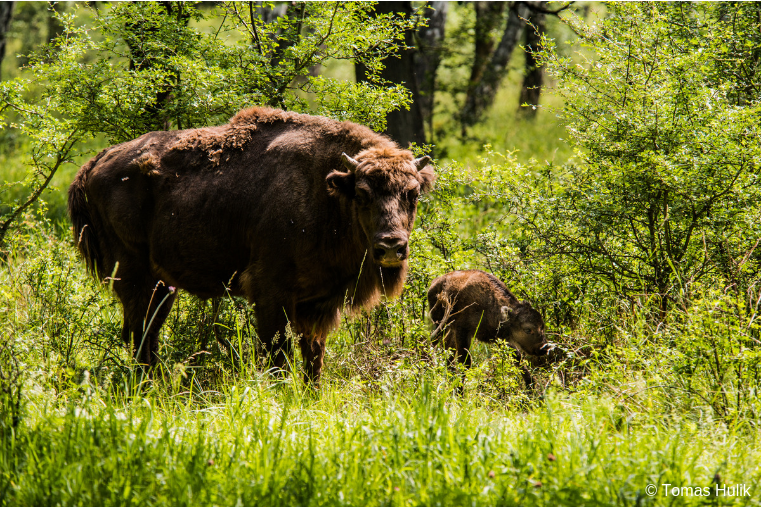 This work will allow to maximise the conservation and restoration outcomes of rewilding projects, facilitate sound decision-making and connect the science and practice of rewilding. The Royal Society’s high profile recognition of rewilding science comes at a particularly timely moment. Right now, WWF along with leading environmental NGOs BirdLife Europe and the EEB in partnership with Rewilding Europe and iDiv, are currently pushing to ensure that rewilding principles feature strongly in the EU’s post-2020 Biodiversity Strategy. Our goal is to strengthen the EU restoration agenda and ensure the creation of coherent ecological networks in Europe by promoting rewilding principles and demonstrating how they can help to restore biodiversity and ecosystems at a European level. Perhaps rewilding can offer the EU a “helping hand” in finding its own way forward?